New Year's Eve is right around the corner, and we're already taking our little peeks at upcoming smartphones that will kick-start 2015 into being another awesome year for mobile technology. The biggest blip on our phonedar right now is Sony's upcoming Xperia Z4 lineup - which is led by the Xperia Z4 smartphone and followed by the smaller Xperia Z4 Compact, the huge Z4 Ultra, and quite possibly, the Z4 Tablet - which we won't be taking a look at here. We figured it's about time we rounded up all the rumors that sprouted over the past month and a half. Looking at how much we know or heard about the Xperia Z4 family, it's safe to say Sony won't stand a chance at catching us - or you - off-guard! But there's always room for surprises, so be sure to take all the information presented here with a precautionary grain of salt! For better or worse, the Sony Xperia Z4, Z4 Compact, and Z4 Ultra are yet to leak in credible pictures. What we we have to entertain our imagination with are two convincing concept renders, and the Xperia Z3 devices, of course, whose design DNA will surely carry over. We can safely assume Sony has found ways to make its best smartphones slimmer and lighter, while reducing the "empty space" around the display by minimizing the top, bottom, and side bezels. The build materials will most probably be metal and tempered glass - a high-end combination Sony has a proven ability to handle. Thus, expect metal power and volume buttons thrusting out of a finely sculpted metal frame. Of course, a Xperia smartphone is not worthy of the "flagship" moniker if it isn't water and dust-proof as well, so let's put that in the bag too. Another likely addition is front-facing stereo speakers, a feature Sony has no reason to remove from its premium offerings. 1440p or 1080p resolution? Why not both? According to the latest rumors, Sony plans to sell two versions with the two different resolutions in specific markets. The display size is debatable as well. A leaked internal presentation, along with a few other tips, has put it at 5.2 inches by diagonal, while previous rumors have pointed towards 5.4 or 5.5 inches - take your pick! Given the Sony Xperia Z3 has a 5.2-inch diagonal, and Sony's strategy is one of improving its designs without changing them significantly, we're keen to bet on 5.2 inches. If that's the case, then the Xperia Z4 screen's pixel density will stand tall in both the 1080p (423ppi) and 1440p (565ppi) scenarios. On the lesser side of things, the Xperia Z4 Compact is shaping up with the familiar 4.7-inch diagonal, 1080p resolution configuration, while the Xperia Z4 Ultra's broad 6.44-inch display could have its resolution set at Quad HD (1440x2560). Thus, at least on paper, both screens will have their pixel densities through the roof at 468ppi for the Z4 Compact's and 456ppi for the Z4 Ultra's. When it comes to the Sony Xperia Z4's processor, the rumor mill is torn between the 32-bit Snapdragon 805 processor and the 64-bit Snapdragon 810 SoC, both by Qualcomm. The former is sufficiently powerful and readily available to Sony, but it lacks the future proofing of the latter - which won't make it to manufacturers until the second quarter of 2015. Knowing this, and that Sony might be introducing the Xperia Z4 device lineup at CES 2015 (Jan 6-9), we're placing our bets on the Snapdragon 805. Besides, Sony has no reason to rush, as it will get the chance to outfit the Xperia Z5 with premium 64-bit silicon months later. The amount of RAM should remain 3GB, which is more than enough for the Android devices of today. The Xperia Z4 Compact and Ultra, however, are in a different ballpark. Their rumored release timeframe is the second quarter of 2015, which means they can enter the scene Snapdragon 810 processors blazing! Both will have 3GB of RAM on board, too. Sony's Xperia Z4 lineup will run on Android 5.0 Lollipop topped off with the fit Xperia UI. Sony's vision for it is about delivering entertainment and productivity in a simple package, so it's safe to say it will spare the feature bloat. Instead, there are many smaller nuggets of useful functionality. Double tap to wake; an options panel, which can be revealed at any time by doing a swipe gesture from the left edge of the screen; Sony's Small Apps multitasking suite, which pins windowed calculator, browser, notes and other apps on top of anything else; built-in screen recording functionality, and more goodies. In addition, the pleasant and understated design is consistent and melds with the user experience of recent Sony smart devices you may have in your household - such as the PS VITA, the PS4, or a TV set. With its Xperia smartphones, Sony is in the awkward position of peddling the industry's best-selling Exmor RS camera sensor to its direct competitors, while inexplicably failing to make it stand out in its own products. Don't get us wrong, Sony smartphones take decent photos, but you won't see the Xperia Z3 in our selection of 2014's best cameraphones - even though it should have qualified for it with its potent 20.7-megapixel CMOS sensor and extensive camera app. The Xperia Z4 lineup is Sony's next chance to redeem itself, and for that, the company has prepared a new camera sensor. The Exmor RS IMX230 is a 1/2.4", 21MP sensor that advances mobile photography with image plane phase detection autofocus and 192 AF points. These additions should enable blur-free tracking and snapping of fast moving objects, along with real-time HDR images. Sony plans to make a 16MP version too, but whether we'll have any of the two inside the Xperia Z4 devices is up in the air, as the IMX230 will be put in mass production as late as April 2015. So don't be surprised if the Xperia Z4 shows up at CES rocking its predecessor's 20.7 MP 1/2.3” Exmor RS sensor with 1.12 micron pixels - which won't be a bad thing at all! The new IMX230 sensor allows for real-time HDR stills and 4K video. We don't expect Sony to pull any surprises or surprise punches here. We can count on either 16GB, 32GB, 64GB, and why not 128GB of built-in storage in the Xperia Z4, Z4 Compact, and Z4 Ultra's different models. LTE, fast Wi-Fi, Bluetooth, NFC, and popular standards for connecting phone and Smart TV or monitor together are a given. If the Sony Xperia Z4 ends up anywhere around the Xperia Z3's size, it would be logical to assume it has roughly the same battery. A rumored 3400mAh unit (or, hopefully more) will have plenty of juice to power even the purported QHD display variant, but we're not sure whether the smartphone will stand a chance to ace our battery test like its predecessor did if it has such a power-hungry display. Then again, the mighty Samsung Galaxy Note 4 achieved an excellent result with only a 3220mAh unit to make do with, so either way, we're optimistic about the outcome. Same for the Z4 Compact, which is rumored to have wireless charging. Finally, the Rubenesque Xperia Z4 Ultra will find itself with an appropriately sized battery unit of a 3500mAh to 4000mAh capacity. Check out the test results above to get an idea of how the Xperia Z3, Z3 Compact, Z Ultra, and Galaxy Note 4 perform in this important regard. As mentioned above, we expect Sony to unveil the Sony Xperia Z4 (and possibly, the Z4 Tablet) at MWC 2015 in early March. The Xperia Z4 Compact and Z4 Ultra will follow later, almost certainly in the second quarter of the year. However, pricing and carrier availability in the USA are totally different questions. If you don't plan on buying unlocked, maybe you could look for the Xperia Z4 at Verizon and T-Mobile - the only US carriers that sold the Xperia Z3 on a contract. 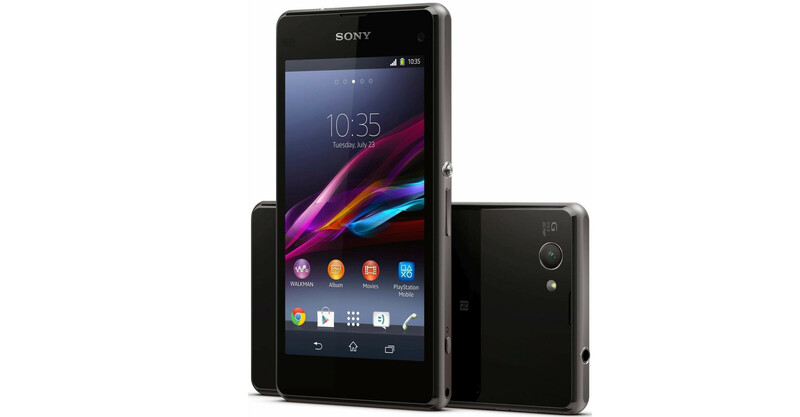 Meanwhile, the Z3 Compact and the original Xperia Z Ultra were never sold with a plan - you have to get them at stores. Whether the Z4 Compact and Z4 Ultra will face the same fate, or not, it remains to be seen. Price, you asked? Well, Sony's high-end smartphones don't come cheap! We expect Sony will charge anywhere between $600-$800 for the Xperia Z4 unlocked, between $500-$700 for the Z4 Compact, and $700 for the Xperia Z4 Ultra. But this is only some educated speculation on our part. You can root it, install some audio enhancement apps like viper4android. There are also some apps available in the Play Store that don't need root. I have an Xperia L and I use the Sound Boost app (https://play.google.com/store/apps/details?id=net​.cacheux.soundboost&hl=en). It does increase the volume by a bit, not really loud but is okay. that's not intended for a phone, if you don't realize it. this site is for phones and other mobile and wearable devices. Top and bottom bezels doesn't seem to be very realistic for a stereo speakers setup. Just a few mms more won't hurt. Also FHD is still a good compromise for better batt life. If they make the top and bottom bezels a little bigger I wouldn't mind. However with the 810 at their backs, I say Sony should try to tame QHD and deliver exceptional battery despite the resolution. If the screen size is less than 5.5" i prefer Full HD than QHD, yes you'll get little bit more sharpness and clarity with QHD display. But with the combination of Full HD display, 810, Sony battery tech and UI, probably it'll be the best performing device in 2015. For me the QHD display should be only be used for any device with screen size larger than 5.5"
I can agree to that. Here's hoping the Ultra is 5.5 inches. Z4 should have 5.5" scree. Improve the camera and put Gorilla Glass 4 front and back. No Gorilla Glass pls, Sony's "dragontail" or whatever it is has proven to be better. I think 5.2 with less bezels like shown on the picture will give an interesting combo. I also think that they should not move to QHD entirely just yet. Unless they could get the SD 810 (which I heard is going to be unlikely as they were some issues), the benefits are just too weak against the disadvantages (such as battery and brightness). They should optimise the battery better too (which they already did well in Z2 and 3). The interface should be improved too... I think it's not as good as Google stock. What I'm concerned is the camera though. They have done extremely well in the Mirrorless camera world but for some reason they are not doing as well in their mobile camera department (especially regarding camera software). There is yet a real comparison on GSMarena of the Z3 but I was really disappointed with the Z2. The Z3 definitely is better than the Z2 from what I've heard, but then the Z4 will face stiff competition from Samsung, LG, HTC, etc. And I don't think know they're going to skimp the camera. So they've to show what they can do in the camera here. Oh yes, I've also heard some quality issues with Sony smartphones and I personally think it is a very concerning issue. I hope they'll get this fixed. The Z4 Ultra however should compete directly with the Note 4 (unlike the original one). I don't really like the Z4 ultra on the picture above as the bezels are too thin but they definitely need to shrink the bezel size from the original Z ultra. 6.45" should be fine but with Z ultra bezels it could be extremely 'immobile'. You just spoke every damn fact about Sony Xperia line up. Except UI. Hmmm...Anyone think the Z4 will be available for Verizon? Z4 Compact may have 4.7 inch display? Really 4.7 inch is compact? Compact is supposed to be below 4.5 inch display. Hope Z4 Compact will be real Compact. In the end, the size of the phone is the one that determines whether the phone is compact or not. Sony has done something extraordinary with Z3 Compact, they are able to put 4.6" screen, stereo speakers, 2600 mAh battery and improve the IP rating into Z1 Compact body + they're also make it slimmer than Z1 Compact. For comparison Moto G has 4.5" display, no stereo speakers, and smaller battery but the size is bigger and thicker than Z3 Compact. So there's no problems with larger screen as long they're able to keep the overall size slim and compact. Not sure if this is something common in other phones, but if you record for a while with Z3 a warning pops up saying the camera will shut down in a moment. Do other phones experience this as well? I'm so pissed at my new Z3C. Why is this phone rated so damn high? The display quality is a total crap just like every other phone Sony had made. You can see the patterns of the touch panel whether the screen is on or off. Color shift when the phone is just slightly tilted. Are you people blind or what? F Sony! I'll never buy anything from this lame company again.